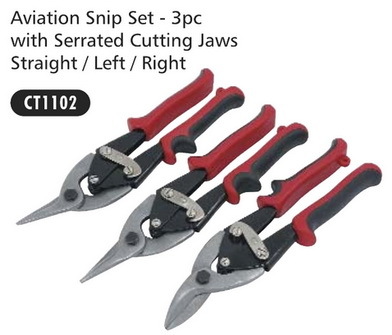 Aviation Snips. Set of three pairs of snips for cutting sheet metal. The left and right hand pairs enable the easier cutting of tight left and right hand curves which can be difficult with a straight cutting pair of snips.